In sump skimmer. 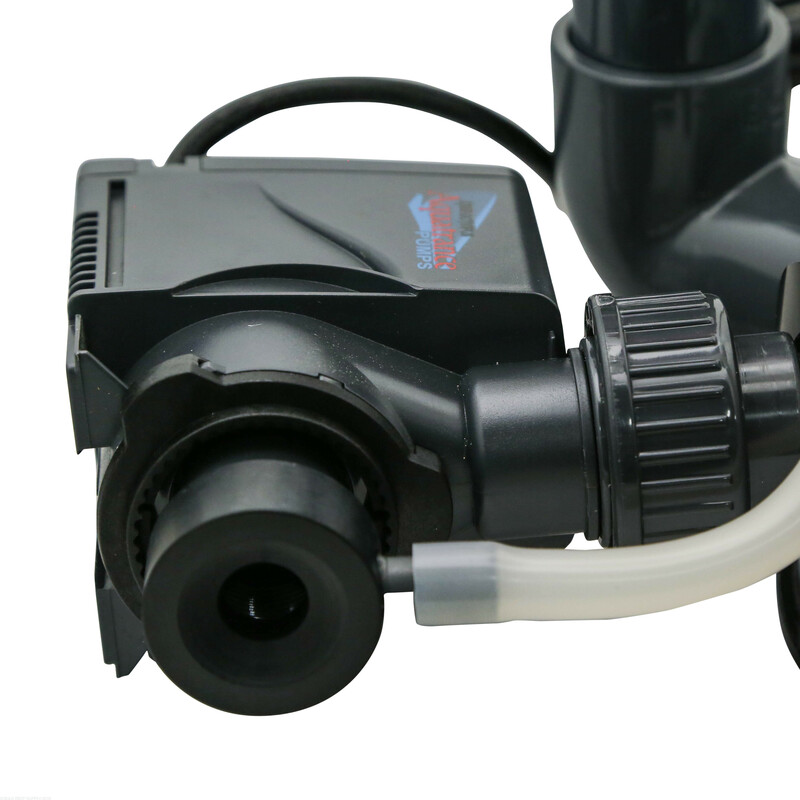 Powered by Aquatrance 2000 pump with an improved venturi design and pinwheel impeller. Built with high quality acrylic. Gate valve allows for more precise control of water level. 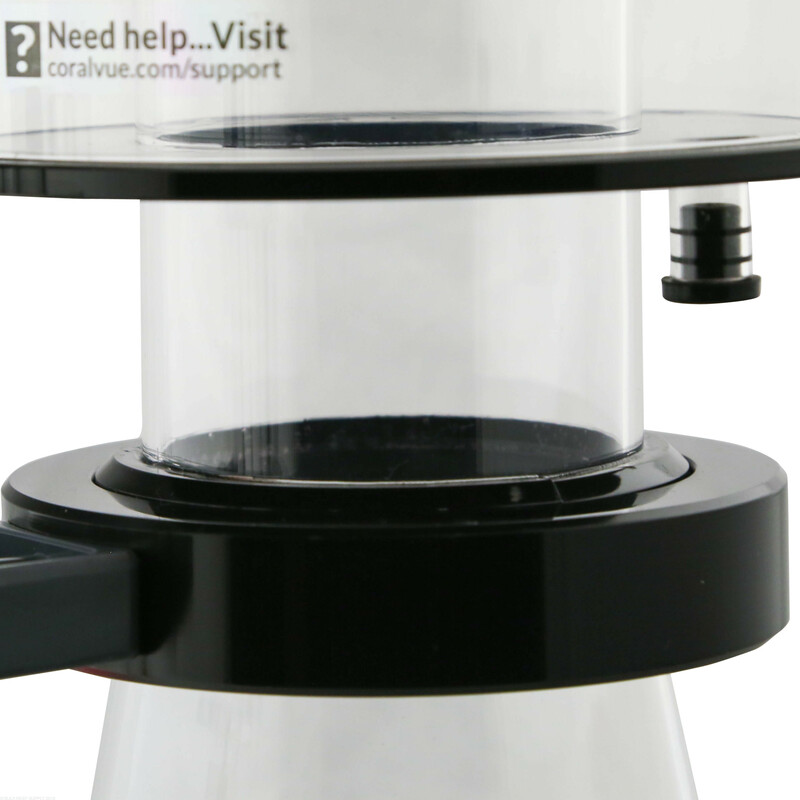 ½” clearance required to remove collection cup for easy cleaning. 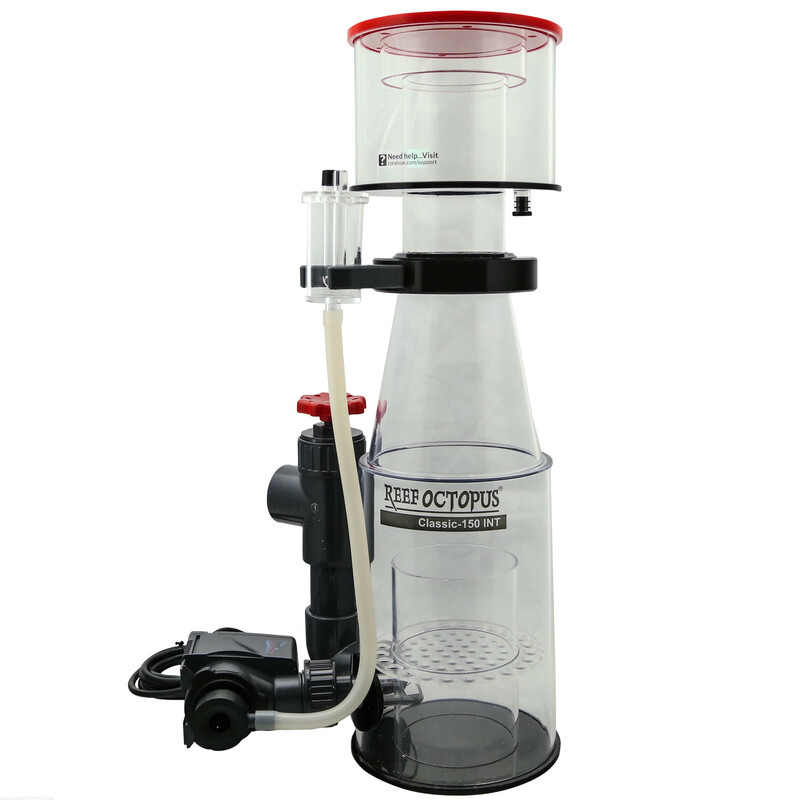 Dimensions: 12" x 8.5" x 22.13"
Manufacturer rates skimmer for tanks up to 150 gallons. 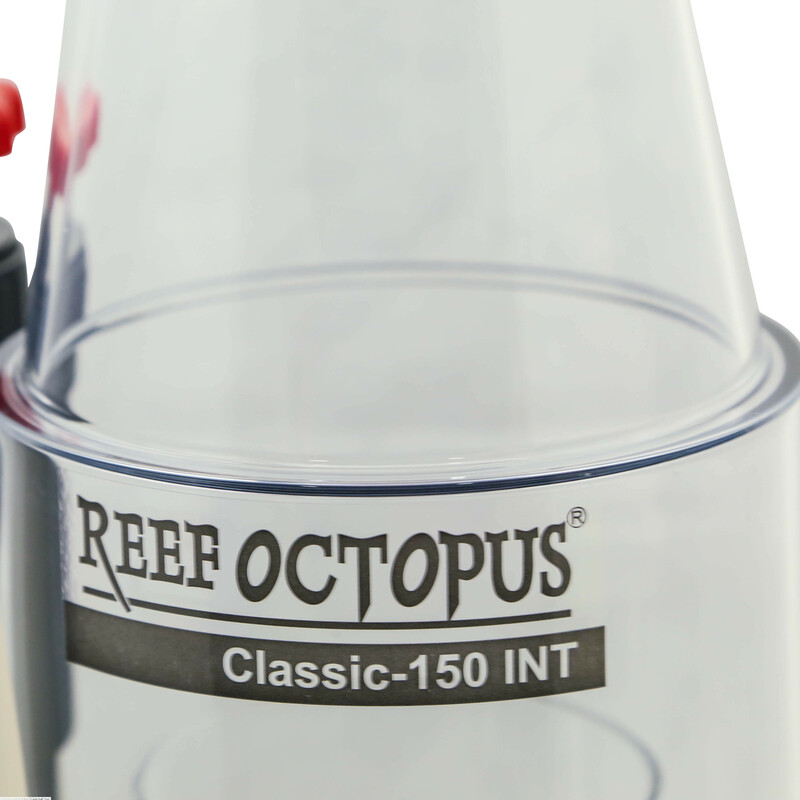 My Reef Octopus Classic 150 INT has been running for 6+ straight years with ABSOLUTELY no maintenance except emptying the cup. Over the past few months it has started to make a "surging" noise that had grown pretty loud. A quick 10 minute clean in hot water and it's a silent as day one. I'm anxious to see if this thing will ever die. I used this on a 75 gallon tank jammed with anemones for about 3 years. Worked awesome. It’s been sitting dry for about a year now, but I’m about to move my stuff into a 125. I’m planning on using the same skimmer, as it worked great on my 75 I can’t see it not performing well for a 125 also. Wish me luck! I upgraded my tank (now a 90G from a 60G) about a year ago and when I did I moved my classic 110 into the new tank even though it was a little under sized. I had my 110 for almost 7 years without issue so it was an easy decision to choose the 150 since it's the next size up. It's exactly what I thought it would be (pretty large) and it started skimming right out of the gate. It's actually quieter than my 110 but that might be due to age. Very happy with my purchase! It's been great so far. Started getting skim mate day 1, but had to adjust a little bit in the first couple days and then a major adjustment about 2-3 weeks later. I've been running mine about 4 months now and would absolutely buy this product again. It is a bit big, but that's the best way to get big performance. Switched from 25 years of raising African cichlids to reefing a couple of years ago. This product came highly recommended from a guy that worked at a LFS. True, it does require a week or two to break-in but I've never experienced an issue and it does a great job keeping my 140g reef system crystal clear! I have had this skimmer for 2 years and I must say its a beast. Its on a 125 gallon with 40 gallon sump. I have a decent amount of fish and corals. 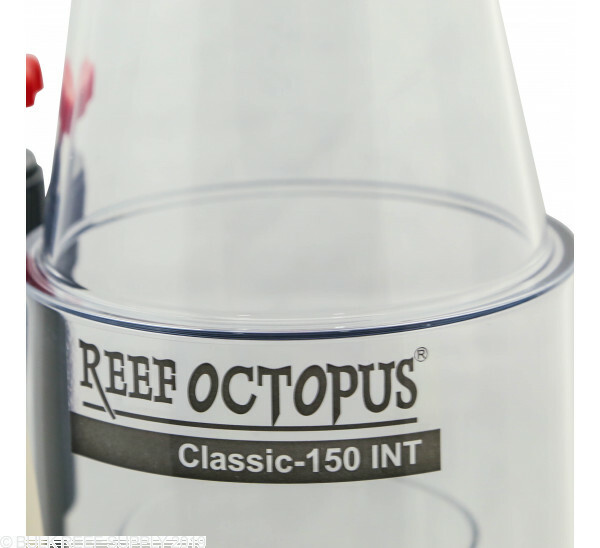 I skim wet and have nothing but good things to say about the Reef Octopus Classic 150. I have been running the 150 INT for 1 year now so I thought I would give my input. I run a 75 gallon display with a 20 long sump. The skimmer was a little wonky for the first week. It overflowed twice back into the sump. After a little trial and error I got it dialed in just right. Since the first week I haven't adjusted the valve. I empty mine once a month, not because it's full but because the tube gets grimy after the neck tapers to fit into the collection cup. I use a baby bottle cleaner to clean the cup. One improvement I would like to have would be an easier to clean skimmer body. There is a grate with tiny holes built into the bottom of the skimmer. The underneath section is borderline impossible to clean without the use of chemical. I just leave mine dirty as it really is more of an visual problem. My guess is including a removable bottom would be cost prohibitive. I purchased this skimmer for the price/quality ratio I could afford. I have about 70lbs of pukani, 40lbs of sand. Great skimmer for the price. I run it on a 90 gallon reef with a 20 gallon sump. Would buy again. The only issue I have is that since I started using bio pellets the dry foam skimmer mate is crazy and over flows a little out of the collection cup but not back into the sump. Did not have this problem prior to using bio pellets. I've had this skimmer running now for 7 months and am happy with it. It took a while to figure it out as I was new to reef tanks but once I did it does a good job. The instructions are non existent on how to properly set it up. I want to get a float switch for it to shut it off so it doesn't overflow as it does go hay wire sometimes. There is a youtube video out there by coralvue. Make sure to watch, and pay attention to the setup instructions. 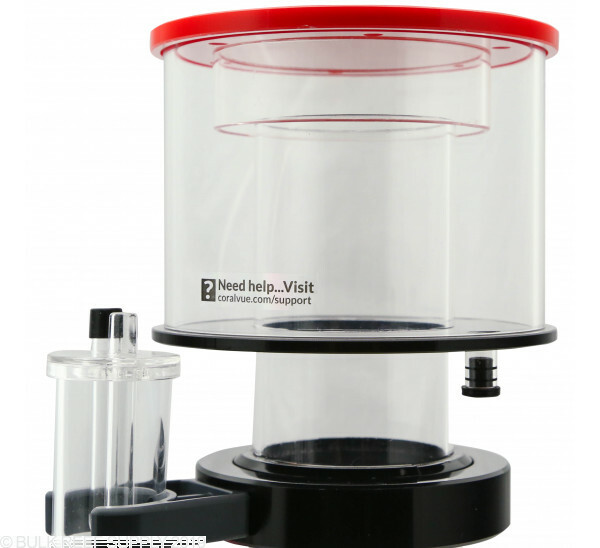 I'd never had an in-sump skimmer before, and this had a lot of good reviews so I rolled the dice. I did fight with it a while to get it broken in but now she's running and pulling good skim. I'd recommend breaking it in with vinegar prior to installing just to shorten the breakin time. That said it's a pretty awesome skimmer. Would this fit in a 10" x 10" square space if turned diagonally? Unfortunately the skimmer pump which is mounted to the outside would get in the way of the wall of the 10x 10 area. Feel free to let us know if you have any further questions! 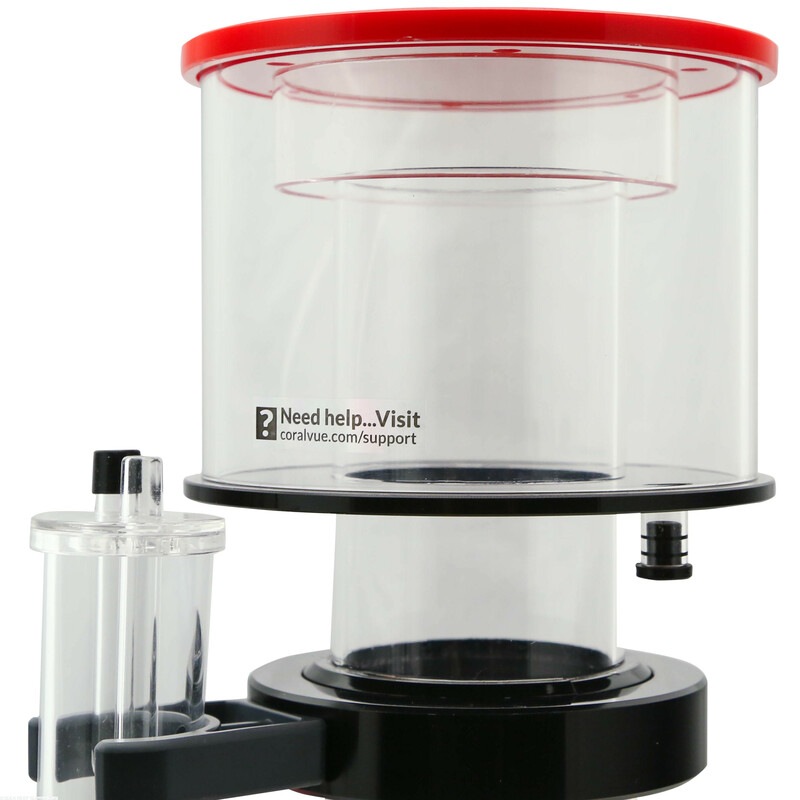 What is recommended water depth for this skimmer? The skimmer will need 7-9 inches of water. Feel free to let us know if you have any further questions! It says 22.13 " ,how much room do you need above that to remove and clean the collection cup?, also what is the actual space need I see it says 12 × 8.5 ? The only season I ask is cause I have that space is just might be a little tight? 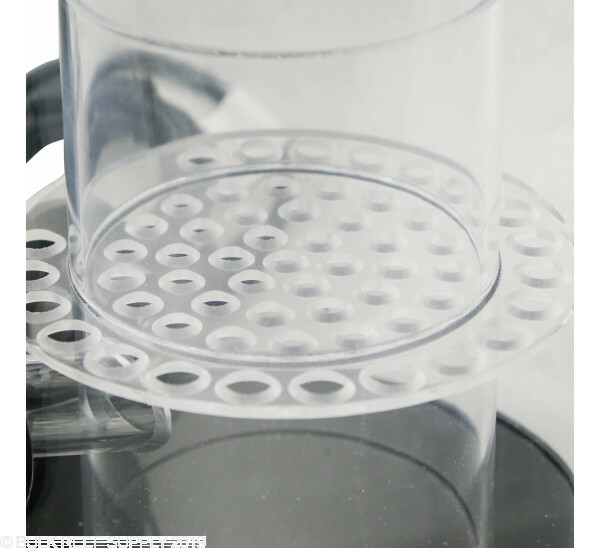 The collection cup sits in the neck with a friction fit/o ring seal, so you'll just need a couple of inches above the skimmer to clear and lift the cup technically. For space concerns, I would recommend taking the footprint measurements and perhaps making a cardboard template to ensure it will work in your space. I would allow for at least an inch on each side to not only allow for space for the skimmer, but also to allow for proper flow to and around the skimmer intake and outflow areas. This would be a tight fit and with the pump not work, or make noise on the wall. Ideally the Classic 150SSS would be the best fit. Do you carry replacement shafts for the impeller (on water pump) on this skimmer? I'm afraid we don't currently carry replacement parts for these skimmers. If you are in need of components for your skimmer, you can contact the manufacturer directly for assistance. 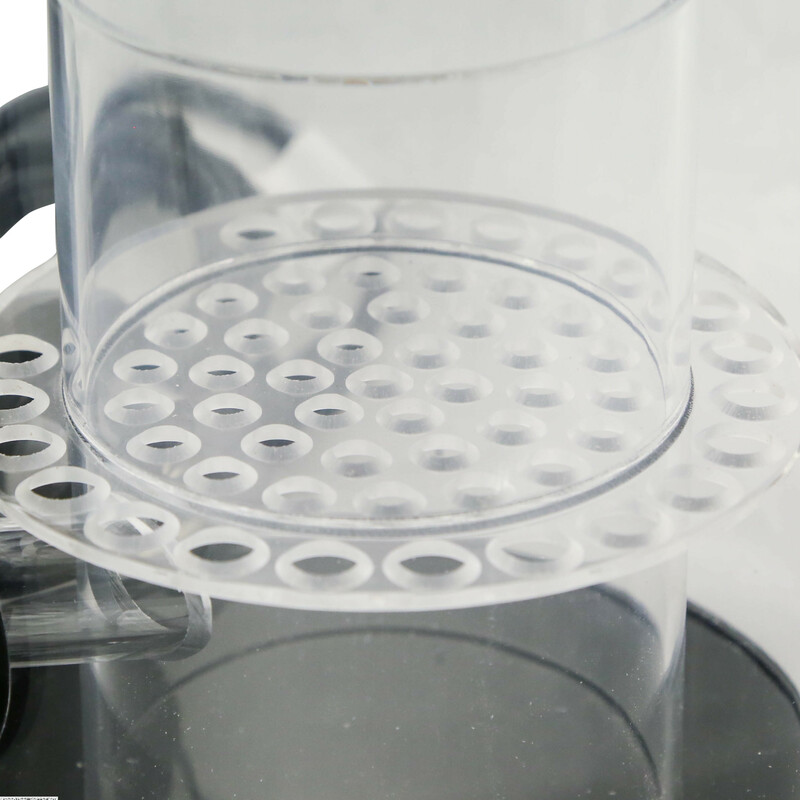 I cannot control the bubbles coming through the octo 150 protein skimmer so it always overflows. Suggestions? Hello, I was curious how tall of a space this skimmer would need to be in? I have about 27 inches to work with and I'm nervous that the space would possibly be too tight for me to take the cup out. Thank you so much! This skimmer has a height of 22.13" and will work fin in a 27" high sump area as you will only need a few inches to remove the cup. Feel free to let us know if you have any further questions! Will this skimmer fit in a trigger systems emerald 34 sump? 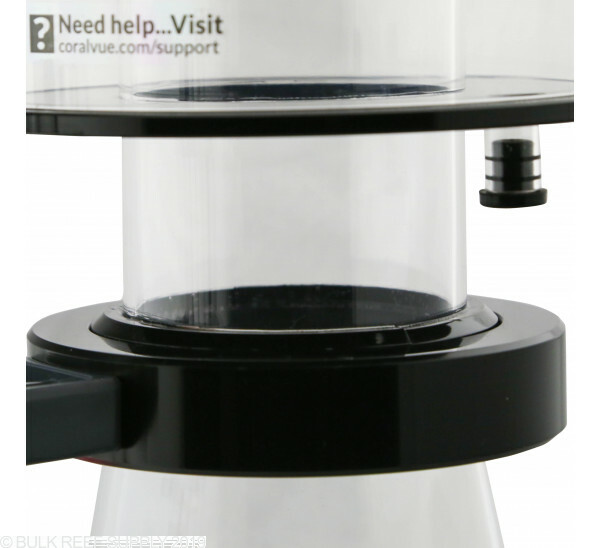 I have this skimmer and the top recently cracked on mine, do you know the size I would need for a new cup? You will want to look for a 150 lid for the 150 skimmers. We have lids, but they come with Neck Cleaners attached. 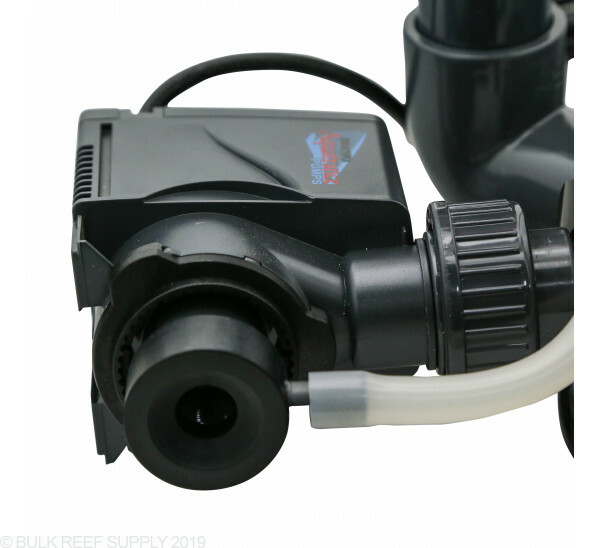 If you are looking for a direct replacement try contacting Coralvue (US Distributor) and they should be able to help you out with locating whatever you need for your skimmer. I am concerned about noise since our tank is in the living room where we watch TV. How would you rate the noise level of the 150INT 6”? 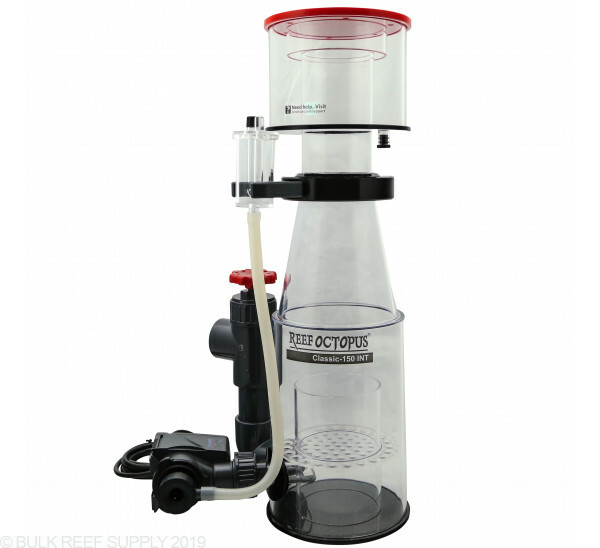 Would this skimmer fit in the Trigger Systems Ruby Sump 30? I have the 110 in there now but was think of upgrading to the 150. The 150INT and Ruby 30 would be a great combo. You'll have a couple inches of clearance on either side in the skimmer chamber, so you should be just fine. Would this fit in Reefer 170 sump? How much room is needed to remove the skimmate cup, exactly? I have 24" of interior space in my stand. +0.5" for the bottom of the sump to bottom of interior of stand... Wondering if I need to drop down to the 4" vs the 6". This is for a 75 gallon display with 20 (ish) gallon sump. Unfortunately the skimmer will be 12" long and the sump at widest is 11". Feel free to let us know if you have any further questions.